Sunday, we were home bound due to some fun thunderstorms (not in the early a.m., no matter what I said the other day). The plan was to go to a movie, but as it pouring so hard, without taking umbrellas into the theater, it would be difficult to make it without sitting for two hours soaking wet. 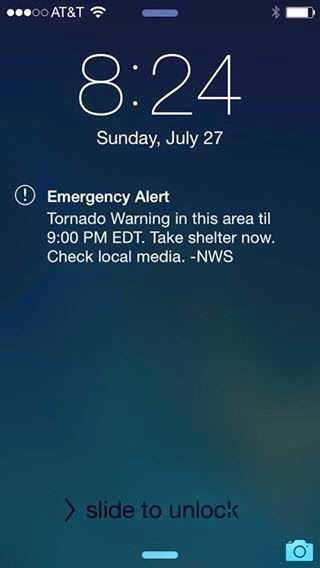 Oddly, just before this message came up on my iPhone (what a great way to alert, since as far as I know, it didn't come up on the tv until after we were headed to, or in, the basement), 710 was fooling around with a site he had come across: LightningMaps. 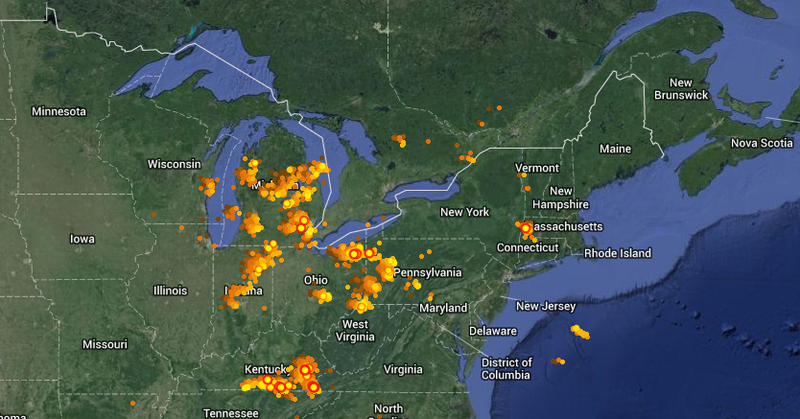 It shows you an almost real time view of lightning strikes across the country. 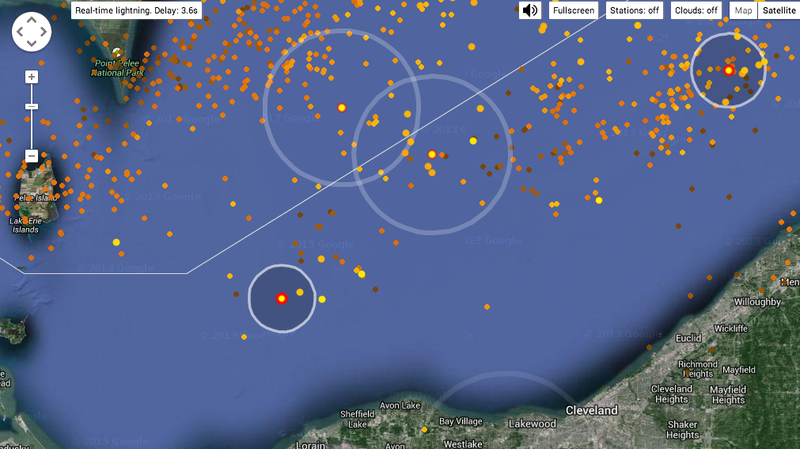 The more you zoom into your location, the more detail you can see in your area's activity. I say 'almost real time' because there is a 3-7 second delay from actual strike to them showing up on the website. It's not predictive modeling, so it is not telling you where a bolt will hit or when. The tighter the circumference are post immediate strike and the reverberations from said strike grow - which you can see. What the site lacks is a good FAQ. It doesn't really say what those expanding circumferences actually mean. Is it the speed of light or sound, that now people on that outer band are seeing and hearing? It was fun to play with, until the fun became a little too real. But like I said the other day, I love a good thunderstorm, I could just do without the flooding and tornadic activity. On the plus side, I don't think we'll have to water our lawn at all this week. I like weather-related things; I love storms. I miss proper Midwest thunderstorms.